Press Coverage Archives | Illuminati Instrument Corp.
Rangefinder Magazine Editor’s Choice Award! 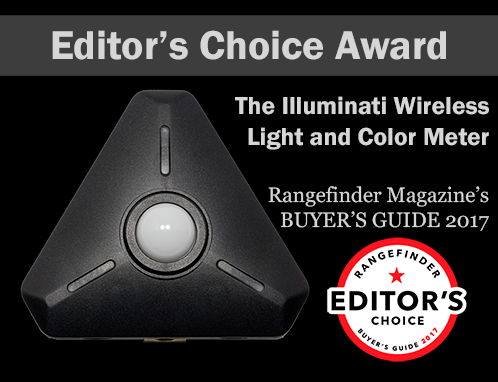 The Illuminati Light and Color Meter Recently Won Rangefinder Magazine's Editor's Choice Award! Read the details here.